The first three kings of Israel, Saul, David and Solomon both men of strength and weakness. 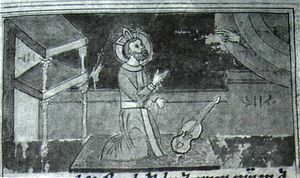 In this essay I will illustrate why Israel desired a king. I will show each kings virtues and faults and ultimately why they were rejected by God and the outcome of this rejection. Previous to the time of Samuel, The nation of Israel was ruled by Judges. The Israelites fell into disfavor with God and several Judge/Prophets were called upon to redeem the people. The book of Judges gives an account on how these heroes were called upon to save the Hebrews from her enemies. It should be noted that all the heroes of the age were flawed. Samson had a weakness for women, despite his gift of great Strength. Gideon was a coward. 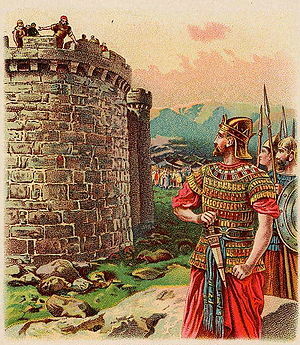 Barak was a reluctant leader and would not even enter battle unless Deborah accompanied him, and Ehud was left handed. It may seem strange to many but God often uses those with disadvantages to accomplish his great purpose. It is in my opinion this is to show his omnipotence, and so others are aware salvations is available to all who seek and serve his will. However, during the time of Samuel the leadership of the judges became increasingly ineffective. Dissention spread among the population. According to Ed Hindson and Gary Yates “Because a judge could only partially and imperfectly administer Torah (legislative function), execute Justice (executive function), and condemn law-breakers (judicial function), a king was need who could more effectively fulfill all three roles. The stories in Judges also, show that that not just any king could effectively govern the nation but rather a king who honored God’s covenant”[i] It was time for a king but who was Israel to choose? Why was Saul chosen, and ultimately, why was he rejected? According to Hindson and Yates “The people seemed to focus on Saul’s outward appearance rather than heart.”[ii] In 1 Samuel 9:2 It states: “Kish had a son named Saul, as handsome a young man as could be found anywhere in Israel, and he was a head taller than anyone else.”[iii] The Bible also states: In 1 Samuel 16:7 “But the Lord said to Samuel, “Do not look on his appearance or on the height of his stature, because I have rejected him. For the Lord sees not as man sees: man looks on the outward appearance, but the Lord looks on the heart.”[iv] The nation of Israel was eager for a change. Despite the warnings of Samuel and the predictions of previous prophets, which states the king was to come from the tribe of Judah not Benjamin, the Israelites rushed into choosing Saul as the first King. His victory over the Ammonites boosted national support but was not enough to restore covenant faithfulness to the land and to the people. Samuel continually warned Saul to obey the Mosaic Covenant and the commandments of God but Saul repeatedly ignored these requests. This as well as his blatant disregard to annihilate the Amalekites and his use of the power for his own glory caused him to fall into disfavor with God. This reminds me of one of my favorite Scripture quotes “Pride goeth before destruction and a haughty spirit before a fall.”[v] Saul was failing the Hebrews needed a new king who was to be chosen? What attribute did David display that made him a better king than Saul? During the reign of Saul a new hero emerges into the nation Israel. A shepherd boy defeats the mighty Philistine champion after no Hebrew soldier will meet his challenge” Goliath stood and shouted to the ranks of Israel, “Why do you come out and line up for battle? Am I not a Philistine, and are you not the servants of Saul? Choose a man and have him come down to me. If he is able to fight and kill me, we will become your subjects; but if I overcome him and kill him, you will become our subjects and serve us.”[vi] David quickly rises through the ranks of Saul’s army and becomes one of the greatest military generals in the nation’s history. Saul grows jealous of the growing support of the people behind David as his power wanes and sends him into battle and then into exile. However, Even Saul’s own Son, Jonathan and his daughter Michal support and rally behind and save David from the vengeance of Saul. Tragically Saul dies after becoming insane and his son is killed because of his father’s sins. However David falls in love and marries Michal. David is the king that was prophesized to Hebrews and Israelites. In the Bible God calls him a man after his own heart. The first few books of second Samuel record the deeds of David. He consolidates the nations and establishes the Davidic Covenant. After the king was settled in his palace and the Lord had given him rest from all his enemies around him, He said to Nathan the prophet, “Here I am, living in a house of cedar, while the ark of God remains in a tent. “Nathan replied to the king, “Whatever you have in mind, go ahead and do it, for the Lord is with you. “But that night the word of the Lord came to Nathan, saying: “Go and tell my servant David, ‘This is what the Lord says: Are you the one to build me a house to dwell in? I have not dwelt in a house from the day I brought the Israelites up out of Egypt to this day. I have been moving from place to place with a tent as my dwelling. Wherever I have moved with all the Israelites, did I ever say to any of their rulers whom I commanded to shepherd my people Israel, “Why have you not built me a house of cedar?”’ “Now then, tell my servant David, ‘This is what the Lord Almighty says: I took you from the pasture, from tending the flock, and appointed you ruler over my people Israel. I have been with you wherever you have gone, and I have cut off all your enemies from before you. Now I will make your name great, like the names of the greatest men on earth. And I will provide a place for my people Israel and will plant them so that they can have a home of their own and no longer be disturbed. Wicked people will not oppress them anymore, as they did at the beginning and have done ever since the time I appointed leaders over my people Israel. I will also give you rest from all your enemies. “The Lord declares to you that the Lord himself will establish a house for you: When your days are over and you rest with your ancestors, I will raise up your offspring to succeed you, your own flesh and blood, and I will establish his kingdom. 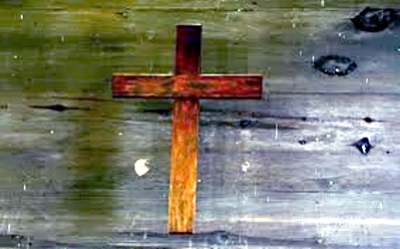 He is the one who will build a house for my Name, and I will establish the throne of his kingdom forever. I will be his father, and he will be my son. When he does wrong, I will punish him with a rod wielded by men, with floggings inflicted by human hands. But my love will never be taken away from him, as I took it away from Saul, whom I removed from before you. Your house and your kingdom will endure forever before me; your throne will be established forever.’”[vii] David also captures Jerusalem and extends the borders of Israel into the Fertile Crescent (to the banks of the Euphrates) and to Egypt bringing taxes and wealth to the land. More importantly he relocated the Ark of the Covenant to Jerusalem. This symbolizes God’s supremacy and blessing over the land David purchases the land prophesized in preparation of building the Great Temple of Jerusalem. Unfortunately, since David is a man is war and not peace he himself can only plan and not build the temple that task will have to follow onto a future king which seems to frustrate David. Despite his strengths David succumbed to sin himself. He sent Uriah out in battle to die so he may sleep with his wife Bathsheba. David has a son with Bathsheba and for his sin his son dies. Also David’s own son led a rebellion against him. Despite the above mentioned sins and more outlined in 2 Samuel, God honors the Davidic Covenant and a son is born to the House of David. The Great King Solomon wisest of all kings. What sin did Solomon commit that ultimately led to the division of Israel after his death? This Covenant disobedience however leads to a long line of weak kingship in Israel and Hebrew history. It is important to notate the difference here as the Kingdom becomes dived into a North and a South Kingdom. The Northern Kingdom (Israel, Samaria,) falls to the Assyrians in 722 B.C. 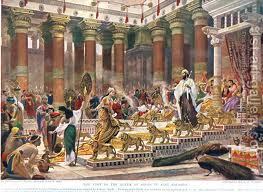 The Southern Kingdom (Judah, Hebrews, Jerusalem,) fall 140 years later to Babylon. For failure to honor the Sabbath, intermarriage with foreigners, Idolatry, and overall sin God exiles Israelites into slavery for 70 years. It is should be noted however that it is through inter marriage with a foreign women that the Davidic Lineage is restored to pave away for the Messiah to come Also Ester, through marriage to King Xerxes, a foreigner, is used to save her people from destruction during the time of exile as well. In conclusion, the first three kings of the Hebrew people were desired to bring order as the reign of Judges proved to be in adequate. The books of Samuel, Kings and Chronicle teach us even the kings proved to be incapable of fulfilling and maintaining God’s Law, The Abrahamic, Mosaic, and Davidic Covenant. The Davidic Covenant and House of David paved the way for the Messiah to come. The above books illustrate that an earthly power can never fully administer God’s Law, that all of us are victim of sin and only a Messiah can set us free. The reign of David and Solomon paved the way and fulfilled the prophecy for Christ to come. Without The Temple and the House of David we would not have had a Savior. For all their faults the first three kings were instrument in changing the world and paving the way for Christianity. /[iii] http://www.biblegateway.com. Holy Bible, New International Version®, NIV® Copyright © 1973, 1978, 1984, 2011 by Biblica, Inc. ® Used by permission. All rights reserved worldwide. [vi] http://www.biblegateway.com. Holy Bible, New International Version®, NIV® Copyright © 1973, 1978, 1984, 2011 by Biblica, Inc. ® Used by permission. All rights reserved worldwide. [vii] http://www.biblegateway.com. Holy Bible, New International Version®, NIV® Copyright © 1973, 1978, 1984, 2011 by Biblica, Inc. ® Used by permission. All rights reserved worldwide. Previous to the time of Samuel, The nation of Israel was ruled by Judges. The Israelites fell into disfavor with God and several Judge/Prophets were called upon to redeem the people. The book of Judges gives an account on how these heroes were called upon to save the Hebrews from her enemies. It should be noted that all the heroes of the age were flawed. Samson had a weakness for women, despite his gift of great Strength. Gideon was a coward. Barack was a reluctant leader and would not even enter battle unless Deborah accompanied him, and Ehud was left-handed. It may seem strange to many but God often uses those with disadvantages to accomplish his great purpose. It is in my opinion this is to show his omnipotence, and so others are aware salvation is available to all who seek and serve his will. However, during the time of Samuel the leadership of the judges became increasingly ineffective. Dissention spread among the population. According to Ed Hindson and Gary Yates “Because a judge could only partially and imperfectly administer Torah (legislative function), execute Justice (executive function), and condemn law-breakers (judicial function), a king was need who could more effectively fulfill all three roles. The stories in Judges also, show that not just any king could effectively govern the nation but rather a king who honored God’s covenant”[i] It was time for a king but who was Israel to choose? David is the king that was prophesied to Hebrews and Israelites. In the Bible God calls him a man after his own heart. The first few books of second Samuel record the deeds of David. He consolidates the nations and establishes the Davidic Covenant. After the king was settled in his palace and the Lord had given him rest from all his enemies around him, He said to Nathan the prophet, “Here I am, living in a house of cedar, while the ark of God remains in a tent. “Nathan replied to the king, “Whatever you have in mind, go ahead and do it, for the Lord is with you. “But that night the word of the Lord came to Nathan, saying: “Go and tell my servant David, ‘This is what the Lord says: Are you the one to build me a house to dwell in? I have not dwelt in a house from the day I brought the Israelites up out of Egypt to this day. I have been moving from place to place with a tent as my dwelling. Wherever I have moved with all the Israelites, did I ever say to any of their rulers whom I commanded to shepherd my people Israel, “Why have you not built me a house of cedar?”’ “Now then, tell my servant David, ‘This is what the Lord Almighty says: I took you from the pasture, from tending the flock, and appointed you ruler over my people Israel. I have been with you wherever you have gone, and I have cut off all your enemies from before you. Now I will make your name great, like the names of the greatest men on earth. And I will provide a place for my people Israel and will plant them so that they can have a home of their own and no longer be disturbed. Wicked people will not oppress them anymore, as they did at the beginning and have done ever since the time I appointed leaders over my people Israel. I will also give you rest from all your enemies. “The Lord declares to you that the Lord himself will establish a house for you: When your days are over and you rest with your ancestors, I will raise up your offspring to succeed you, your own flesh and blood, and I will establish his kingdom. He is the one who will build a house for my Name, and I will establish the throne of his kingdom forever. I will be his father, and he will be my son. 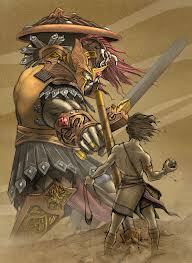 When he does wrong, I will punish him with a rod wielded by men, with floggings inflicted by human hands. But my love will never be taken away from him, as I took it away from Saul, whom I removed from before you. Your house and your kingdom will endure forever before me; your throne will be established forever.’”[vii] David also captures Jerusalem and extends the borders of Israel into the Fertile Crescent (to the banks of the Euphrates) and to Egypt bringing taxes and wealth to the land. More importantly he relocated the Ark of the Covenant to Jerusalem. 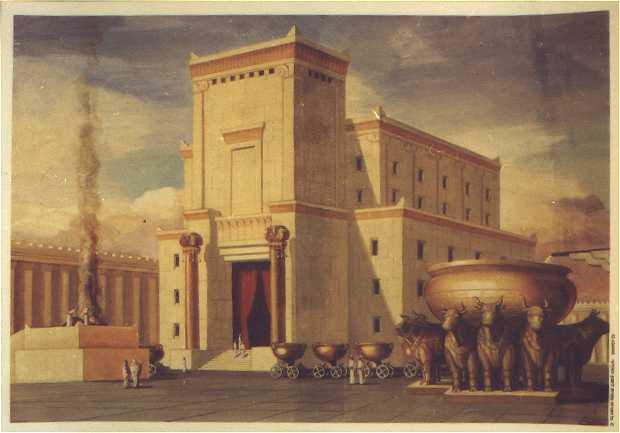 This symbolizes God’s supremacy and blessing over the land David purchases the land prophesied in preparation of building the Great Temple of Jerusalem. 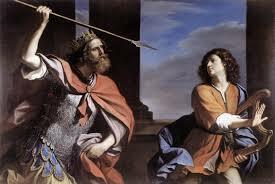 Unfortunately, since David is a man is war and not peace he himself can only plan and not build the temple that task will have to follow onto a future king which seems to frustrate David. May God Bless you give you the knowledge, wisdom strength, guidance and direction in the days to come.